Our monthly residency at BDC continues. 7pm - 10pm, no cover. Great food and One Foot Cocktails. Jan 12th, Feb. 9th, Mar. 9th, Apr. 13th, May 10th (Fri. Happy Hour, 5-7:30pm), June 29th, Aug. 17th, Sept. 7th, Oct. 19th, Nov. 9th, and Dec. 14th. We're playing the Saturday Matinee at this great venue. 3:30-6:30pm, $5 cover. All acoustic show....And, mead! 7-9pm, no cover. Our first time at this excellent festival. We're on the 42 North Stage, 7:45-9:15pm. 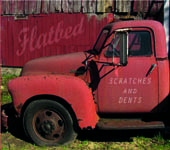 "The band’s new disc, “Scratches and Dents,” is to Buffalo what Lucinda Williams’ “Car Wheels On A Gravel Road” is to Austin, Texas." "The band's self-titled debut reveals an instantly likable, home-brewed, country-based collection of songs splitting the difference between the "Cosmic American Music" of Gram Parsons and New Riders of the Purple Sage and the folk-based country of Emmylou Harris." 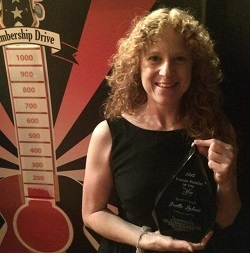 Flatbed congratulates Joelle Labert, The Sportsmen's Americana Music Foundation 2015 Female Vocalist of the Year!! !